I’ve gone crazy for Wild Olive and the printables on her Etsy store this week. When I signed up to the Summer Stitch club, I couldn’t resist adding the gorgeous Otter Meal Planning Kit to my basket. 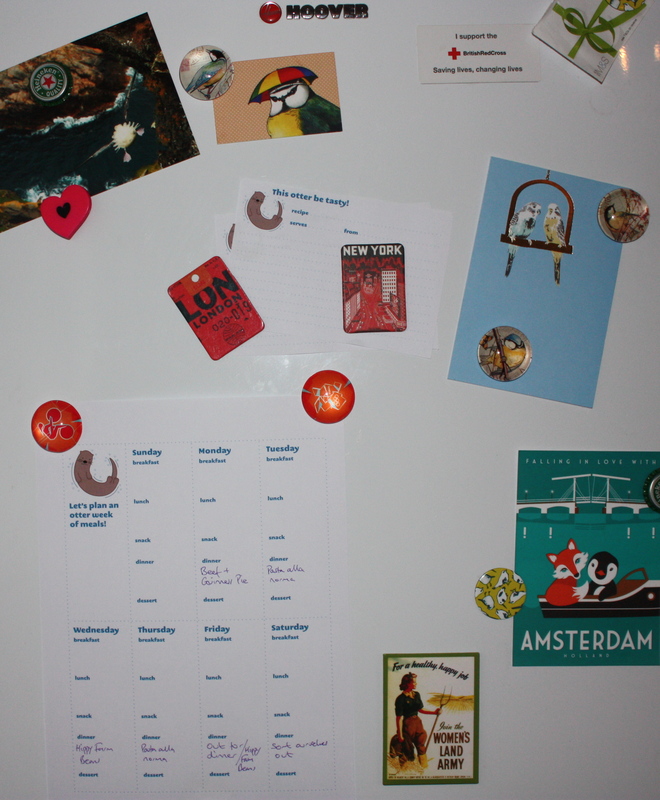 We’ve been getting really into meal planning over the past couple of months and usually resort to the nearest scruffy bit of paper to plan our week’s dinners on or a tiny notelet for a shopping list! This set is perfect – it has recipe cards, a weekly planner and a shopping list. Plus, it is all covered in otterly brilliant otter puns- love it! Who doesn’t need otters in their life? 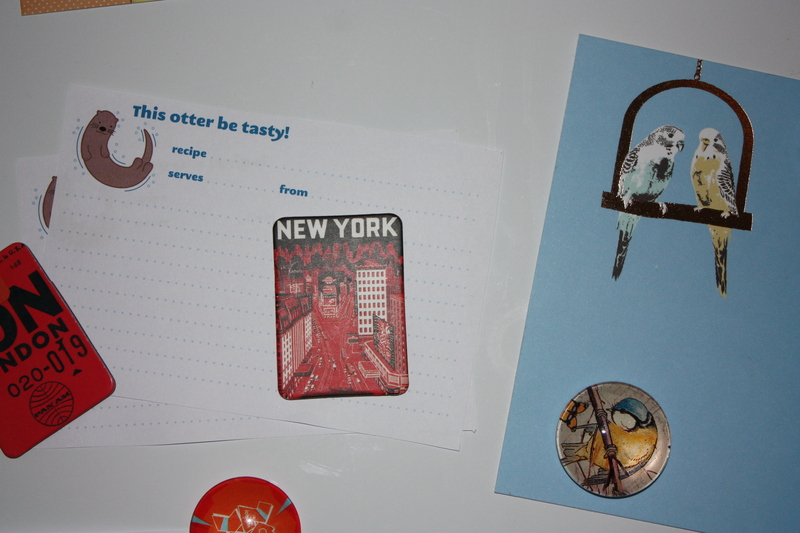 Our fridge is now covered in otter organisation. Do you meal plan? Any tips on being organised? Yep, I’m completely OCD about meal planning! We do a big shop online (using MySupermarket to get the best deals) every 2-3 weeks and make lots of use of our 2 freezers. I sit down with a notepad and pen and work out how many meals we’ll need and what I’ll cook for them all. Then I collate all the ingredients, cross check them with what I’ve already got in stock and then order online.